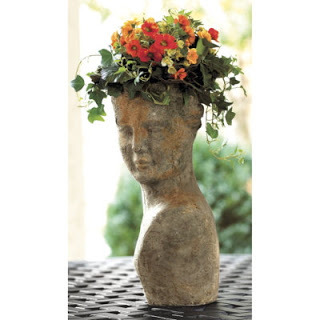 Dorothy, a blogger and a self-confessed obsessive composter from California has hacked a brilliant method to make stunning head planters with hypertufa. And she did not stop just at making this for herself but went on to share her great method, by way of a detailed blog post, with recipe and all, accompanied by plenty of pictures. Like I said before, would love to hear about your experience as and when you get around to doing this. Hi, yes, coating the surfaces with non-stick cooking spray should do the trick. Hi there, really appreciated your visit to my blog. Have a lovely day. Deborah (The Escape Artist). Looking forward to reading your posts!